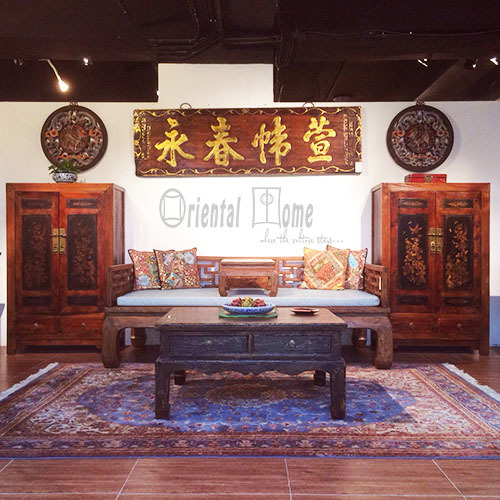 Our 10,000 square feet showroom carries the best selection of Chinese, Mongolian and Tibetan Antiques. We Custom-Made Furniture in different styles to fit different clients' needs. Oriental Home provides Interior Consultancy Service and work with Premium Hotels, Crusines, Education Centers, as well as World Class Designers. We also offer Restoration and Repairing Service.